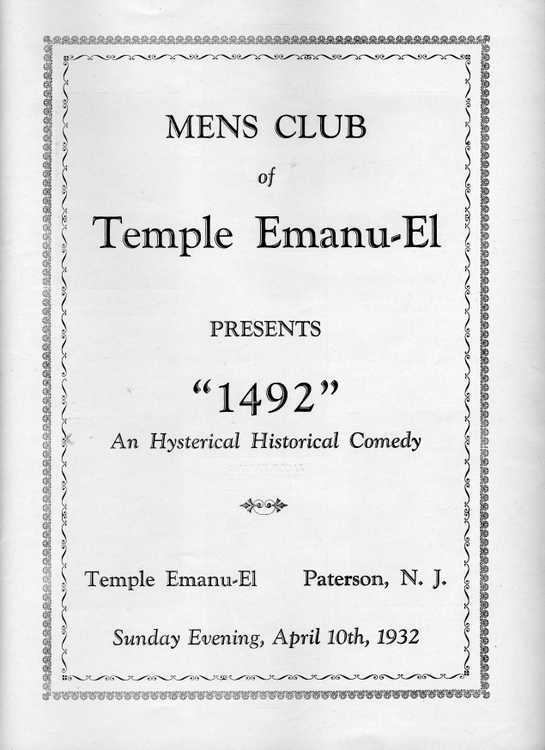 Going through the collection of Temple Emanuel of North Jersey, formerly of Paterson, one can find many great artifacts. 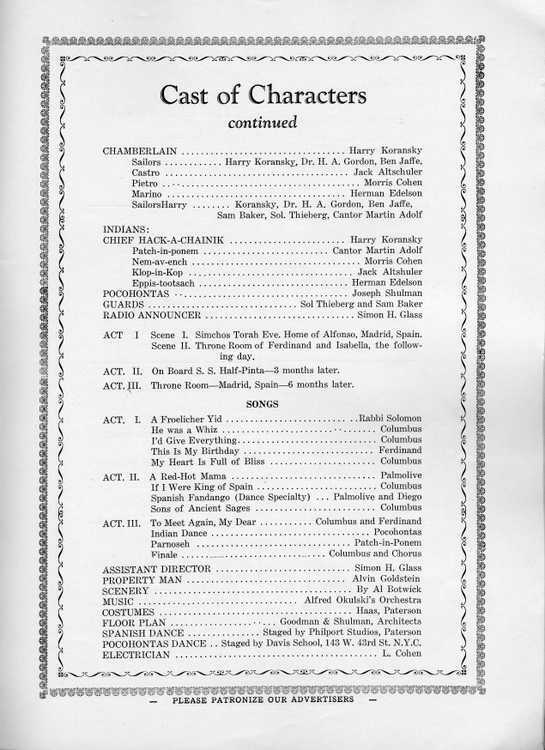 Today we stumbled across a program from 1932. 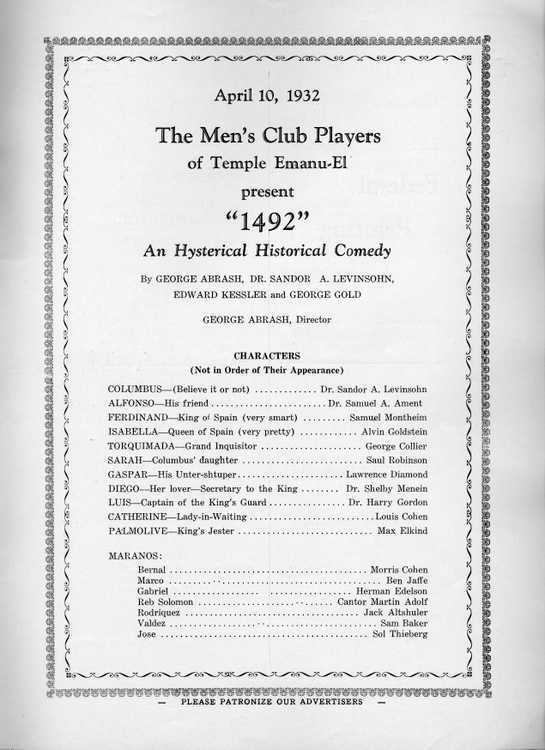 “1492” was “An Hysterical Historical Comedy” which was put on at the Temple on April 10th, 1932. We also have a copy of the script. 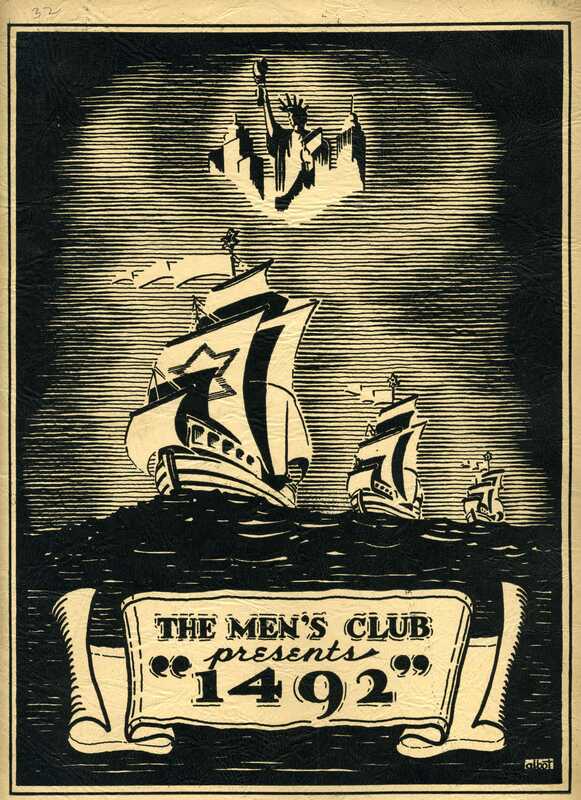 If you would like to see the whole program and many other items from the Temple, come stop on by the Society!